For many months we have been writing both publicly and privately to our clients inviting them to ignore industry gossip about a greatly changed SFTR being privately concocted by the Commission (EC). We have posited that firms really do need to crack on as the draft level II legislation will not change in any significant way. Perhaps the most prominent of our advice was reported in the press, when we informed the industry of the these points following our private discussions with the EC as part of the ongoing enforcement action we launched against the Commission. Simply put, the EC must have a compelling reason to overrule ESMA’s market expertise. So what’s the EC’s problem? The EC intends to adopt the RTS/ITSs as is. So what’s the fuss? In common parlance this is called a turf war. (To non-native English speakers a turf war is where two factions fight over the rights to a particular territory or sphere of influence.) ESMA has stated that it reserves the right to make a particular change in the future to mandate branches to use LEIs whereas the EC states that only it has such a right. What are the practical implications for the industry? None. To market participants, it matters not a jot whether it is ESMA or the EC that instructs us (as long as it is legally binding). For the avoidance of doubt, the EC’s request for amendment is an entirely legalistic debate over which EU body has the right to do something. 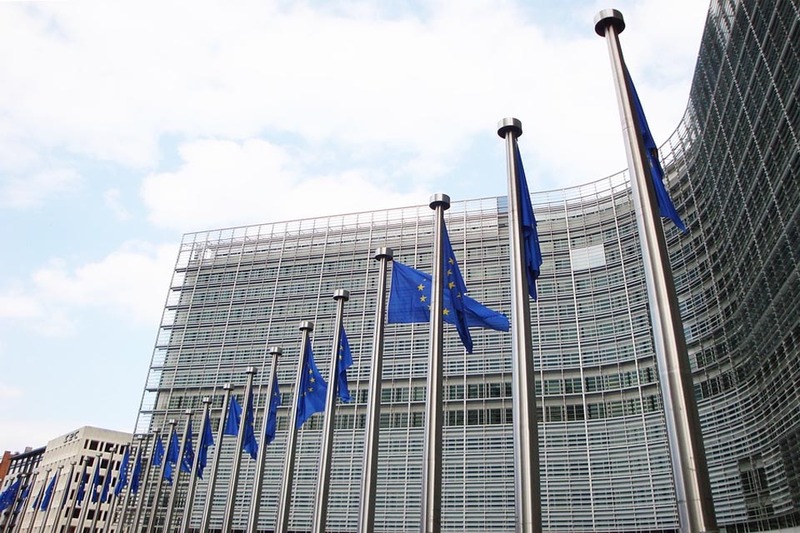 The EC intends to adopt ESMA’s draft level II legislation which the industry has had for the last 16 months. No changes. As is. As has been for 16 months. For the lawyers interested in the details, a discussion follows. The Commission takes issue with ESMA arrogating for itself an empowerment where none is found in law. I agree with the Commission. The principle that actors can only act where a competence has been provided is a fundamental cornerstone of the European Union. The Treaty of the Functioning of the European Union (as amended) stresses this in Article 2. Article 10 states ESMA has six weeks to rework and deliver its ‘formal opinion’ to the EC. (If ESMA fails to within 6 weeks, the Commission can proceed with its own intended adoption.) After receiving ESMA’s amended draft regulatory technical standard within the six-week period, the Commission may amend the draft regulatory technical standard on the basis of the Authority’s proposed amendments or adopt the regulatory technical standard with the amendments it considers relevant. In other words, the Commission has ultimate say in what it adopts, however it is duty bound by article 10 to adhere to this formal process. The EC must immediately forward the adopted legislation to the Parliament and Council for final approval. Article 13(1) states: The European Parliament or the Council may object to a regulatory technical standard within a period of 3 months from the date of notification of the regulatory technical standard adopted by the Commission. Get cracking! SFTR level II is now all but official. There are no unknowns. SFTR is the most complex and arduous reporting regime ever imposed on the industry by some considerable margin. The measure will be adopted by Q1 2019 making Q1 2020 the go-live date. Market FinReg is the only firm to have produced an accredited SFTR training course (since March 2018). We are in regular contact with ESMA and the Commission and Trade Repositories discussing SFTR developments. 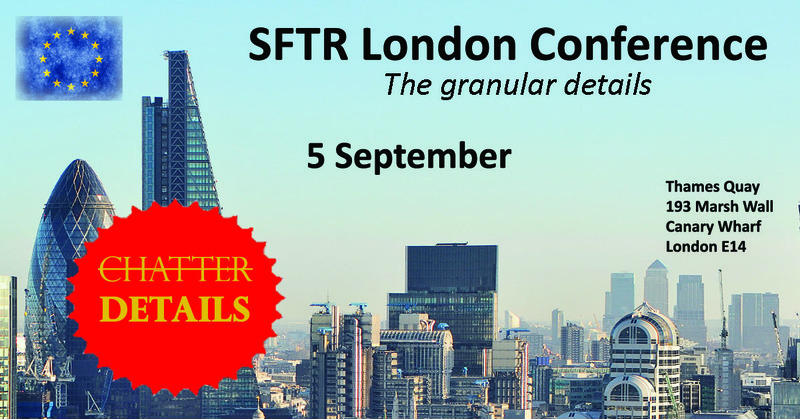 Our SFTR London conference on 5 September is being attended by all the major investment banks, bodies and funds. Market FinReg is a leading firm working with industry, the Commission and regulators to achieve better regulation of financial markets.